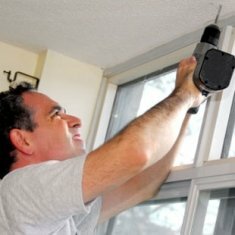 Made from a high strength polycomposite ABS. Stronger than the normal Zinc Alloy. 25 year surface finish guarantee. BioCote® technology - 96% reduction level of bacteria. Resists the growth of Microbes such as H1N1 flu virus. Laser printed with a unique batch code for traceability. 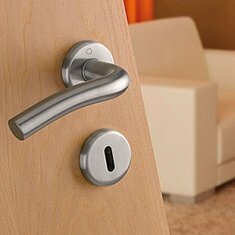 Certified by the Carbon Trust for 60% less embodied carbon than a zinc alloy handle. 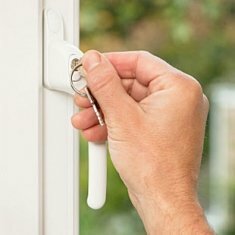 Replacement locking uPVC espag window handle in various spindle lengths with BioCote® technology for antibacterial performance. This espag handle is made from a high strength polycomposite ABS material which is tested above that of a zinc alloy window handle and meets a 60kg test. 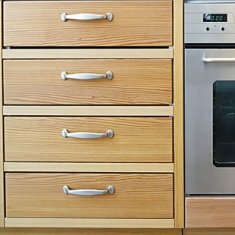 HACCP certified means it is safe to be used in areas where food hygiene is paramount. 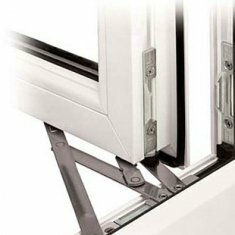 Cycle tested to over 50000 cycles and incorporating a warm-touch grip this espag window handle is 100% corrosion resistant. With 60% less embodied carbon than a zinc alloy it is certified by the Carbon Trust, is fully recyclable and meets the latest Building Regulations. Every batch of window handles are tested and laser printed on the back of the grip with a unique reference code for complete traceability. The antibacterial qualities of this product mean high resistance against bacteria, moulds, fungi and the H1N1 influenza virus. Furthermore this protection will not wash away or wear off over the lifetime of the product. 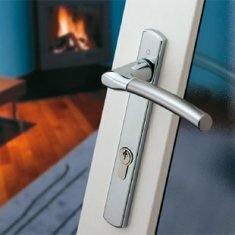 The manufacturer gives a 25 year finish guarantee and a 10 year mechanical guarantee on this espag window handle. 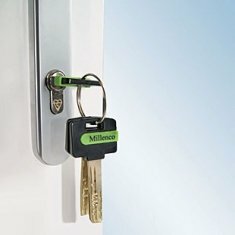 Supplied with a common key and two screws as standard. The following special offers are available to you when you buy the W94 Anti Bacterial Espag Window Handle. 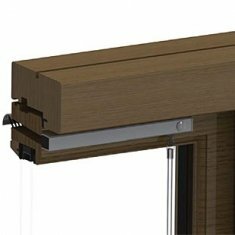 The discount for the special offer will show in the cart if both the W94 Anti Bacterial Espag Window Handle and the special offer product are added.